The Rotary Community Corps of Sturbridge and Southbridge is tending to 21 raised beds in the Community Food Collaborative garden! Volunteers of all ages are working in the garden, including two families and a girl scout troop. One team weeds the beds, and another team that takes turns watering the garden on a regular basis - especially during the extreme heat. The Rotary Community Corps is also cleaning up the areas leading up to the garden, weed whacked the brush, and spread mulch to make it look better. The best part of it all is that the Rotary Clubs of Sturbridge and Southbridge have made several deliveries already to to the St. John Paul II Food Pantry, where all the produce is donated. 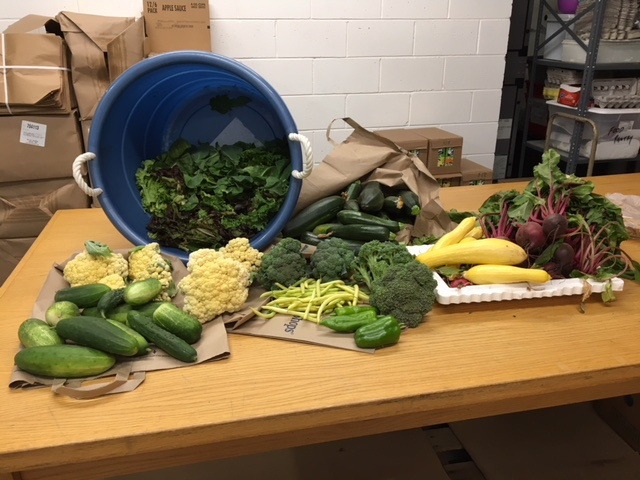 The garden grown produce delivered to date includes various kinds of lettuce, cucumbers, cauliflower, zucchini, broccoli, beans, bell pepper, sweet banana peppers, summer squash, radishes and beets.